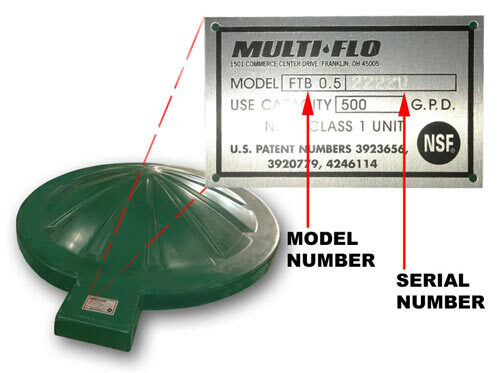 If you would like to purchase a new aerator for your Multi-Flo or EnviroGuard Aerobic Treatment System, please fill in all required* fields below and then proceed to our online store to order. You will need the model and serial number of your system and a valid Master Card, Visa, or American Express. Bold* fields are required. We never sell or supply your information to any third parties. Extra charges will be applied to shipping outside the continental U.S.
One of the following MUST be checked Where do I find the Model? Located on the data plate attached to the lid Where do I find the Serial Number?